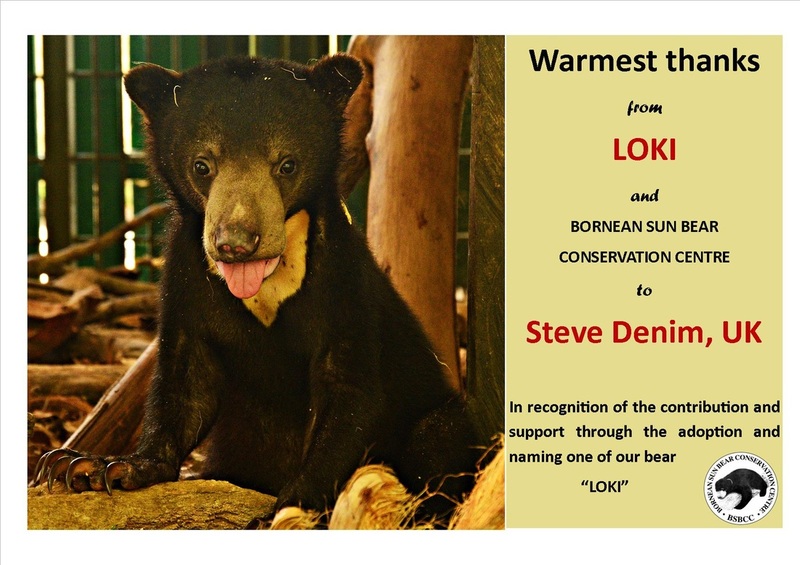 MEANING OF NAME: Loki is a very special sun bear cub adopted by Steve Denim who is passionate in changing sun bears lives. He named this female sun bear cub "Loki" to commemorate his cat who was struck by a car and unfortunately succumbed to his injuries. HISTORY: Loki was discovered in the backyard of an inn, where she had been illegally kept as a pet for about five months. Her previous owner purchased her from a friend in Ranau, west coast of Sabah, and named her “Ooi”. Loki was confiscated by the Sabah Wildlife Department and sent to BSBCC on 24th March 2014. She was in very poor health due to the owner’s lack of knowledge on how to properly take care of a sun bear cub. Loki was severely malnourished, which caused her paws to appear too big for her thin body. PERSONALITY: Loki is very aware of her surroundings and reacts to every sound by standing on her feet. Now Loki has a group of playmates, Sunbearo, Bintang, Montom, Susie and Kala. They also share the same passion playing with each other! Loki took their first step out into the forest enclosure on 24th December 2015. She is always excited to explore around the forest. Loki likes to enjoy the sun light. She likes to climb up high on the top of the tree and resting on it. Loki is showing more skills in the forest. Her tree nest is well-built by using tree leaves and branches. Watching Loki dig for insects, climb trees and play with green leaves and branches is such a delight. 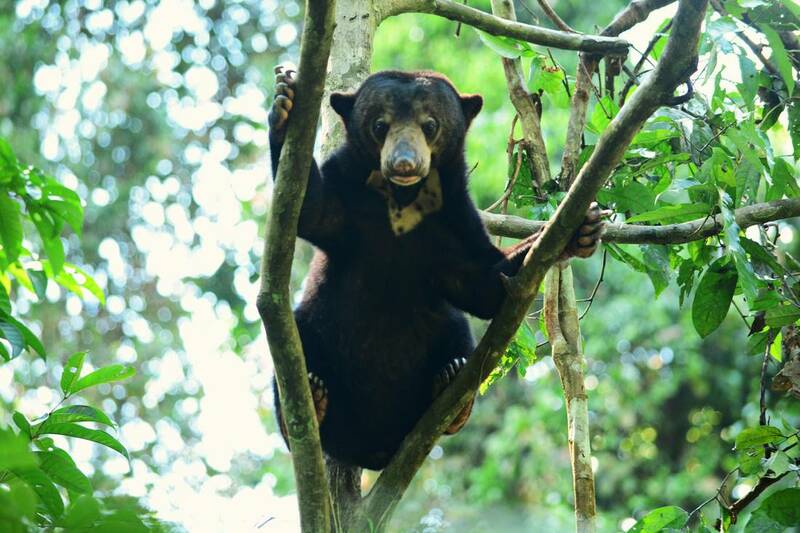 She is slowly gaining the strength and confidence that she will need to live the life of an independent sun bear. IDENTIFYING MARKS OR TRAITS: Loki has a wide pointy mark on her throat to chest. Loki is a very special sun bear cub adopted by Steve Denim who is passionate in changing a sun bear life. He name this female sun bear cub as "Loki" to remember his cat who was struck by a car. Huge thanks to Steve Denim that ensuring the well-being and future of Loki.